No service charge. Credit cards accepted. Parking available. Chinese/English menu. Made with fresh lemongrass, lemon juice, seasonal vegetables and whole chickens, the hotpot soup stock this Thai restaurant uses enhances the flavor of all ingredients. The Myanmar (Burma) native owner helps ensure that diners here get to savor some authentic-flavored hotpot varieties, including lemongrass, coconut milk, and spicy flavors (NT$200-320). A: As its name implies, Yummy Thailand Flavor offers delicious Thai cuisine. B: Thai Tom Yum Soup Hotpot (NT$280, with pork/beef/mutton) comes with Chinese vermicelli, udon noodles or Thai Minced Pork Rice, plus Coconut Tapioca as dessert. The restaurant offers various kinds of dipping sauces--such as a lemongrass sauce, a specially-made spicy sauce, and Thai sauce--that all go great with meat and vegetables cooked with the sour and spicy stock. The very appetizing Thai Minced Pork Rice contains delicious stir-fried pork, tomatoes, onions, Chinese basil and a special-recipe sauce. C: The creamy yellow stock for the Vegetarian Curry Hotpot (NT$260) is cooked with curry powder, carrots, Chinese radishes, celery, mushrooms, lemongrass, and coconut. 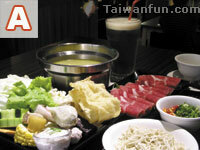 This hotpot set comes with various healthy vegetables like corn, pumpkin and mushrooms, plus a dessert and rice/noodles. Minimum NT$80 bill per person. Despite the fact he studied the culinary arts for over 10 years, the owner still often goes abroad to learn new things. 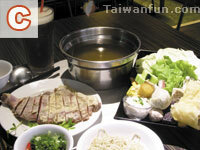 Thanks to his deep knowledge and skills, this restaurant offers over 30 hotpot flavor varieties with Thai, Italian, Japanese and French styles, as well as vegetarian hotpots. 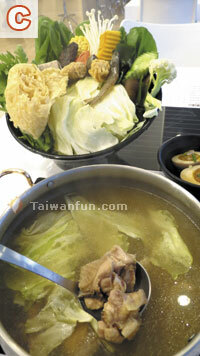 The hotpot soup stock is cooked over four hours, and the meat is always cut to order to ensure freshness. From Monday to Friday, three hotpots options can be enjoyed for only NT$500 (chosen from 8 flavors). A: Containing a large amount of stir-fried onions, the stock for the French Milk Hotpot (NT$208, beef) is very creamy and has the savory flavor of onions. For meat, the diners can choose pork, beef, mutton or chicken, together with rice, ramen noodles, Chinese vermicelli or udon noodles. Every set comes with a NT$60 drink. B: As soon as the Italian Cheese Hotpot (NT$208 with black tea) is placed on the table, you'll smell the rich fragrance of cheese. 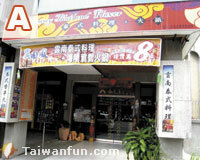 The owner recommends eating the ingredients with the restaurant's specially-made shacha sauce. C: The best way to enjoy the Rosemary Chicken Leg Hotpot (NT$200 with NT$60 drink) is to take a sip the stock, dip the chicken leg into the hotpot, and eat them together. 10% service charge. Parking available. Ji Hwa Ja offers an authentic and complete range of Korean cuisine, including Korean BBQ, Bibimbap (mixed meal), Korean hotpot, seafood pancakes, ginseng chicken soup, and cold dishes. When it comes to hotpots, Koreans have their own unique take. 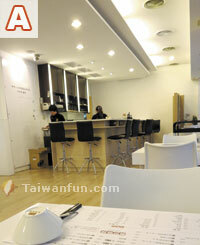 A: Owner Qu Ming-cheng's parents come from China, but he was born and raised in Korea. B: While hotpots generally feature a soup containg some vegetables and meat, the Spicy Stir-Fried Chicken Hotpot (NT$520) is a very different dish. The whole hotpot is basically without water, with only a little soup at the bottom coming from the juices of the cooked onions and vegetables. The marinated spicy chicken leg and traditional Korean New Year's Cake bring out the refreshingly-savory flavor of the stock. C: The stock for Assorted Mushrooms Hotpot with Pork (NT$480) is cooked with dried fish, fish heads, seaweed and some Chinese medicine, together with a large quantity of mushrooms and marinated pork. 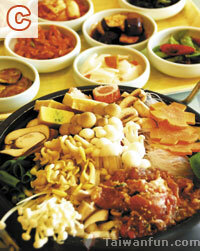 The combination of seafood and mushrooms is very delicious in this authentically-flavored Korean choice. 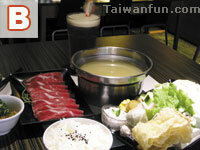 If you are into hotpots, you should definitely give this restaurant a try. In addition to more common hotpots, they also offer Seafood Porridge, French Cheese, and Bak-kut-teh varieties. Every hotpot comes with a plate of seasonal vegetables, rice, noodles, or Chinese vermicelli, and a dessert from two choices. The daily-changing all-you-can-drink beverage option includes green tea, roselle tea, or flower tea. The dipping sauces at Le's Hotpot are well organized and covered with plastic lids so that diners don't have to worry about sanitation problems. A: This mostly-white restaurant is spacious and comfortable. 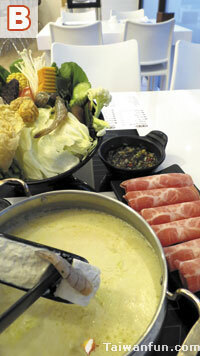 B: For the French Cheese Hotpot (NT$320), diners can choose either beef, pork, mutton or chicken as the entree. The broth for this dish is cooked with milk and many kinds of cheeses, making it so rich that a thin "milk film" forms on top. The creamy cheese stock also makes the meat and handmade fish balls taste even better. C: Plum Chicken Hotpot (NT$320) contains purple mint-infused plums, free-range chicken and various Chinese herbs, so that it tastes slightly sweet and sour, with a purple mint aroma. The chicken is soft, juicy and offers a totally different flavor when enjoyed with a mixture of chopped onions, chilis scallions, plus salt and pepper. A good side dish is the Golden Egg (NT$15), featuring a creamy, melted egg yolk.